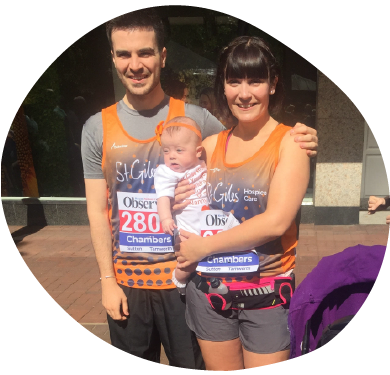 Hayley was inspired to share her story after pledging to complete a year of running with her newborn baby in honour of her ‘amazing’ mum. The care Angie Webb received meant she had enough quality of life in her final days to understand that her daughter Hayley was having a baby girl. “Mum knew she was going to be a nan but she didn’t know if she’d ever find out whether our baby was a boy or a girl,” said Hayley, a teacher from Norton Caynes. 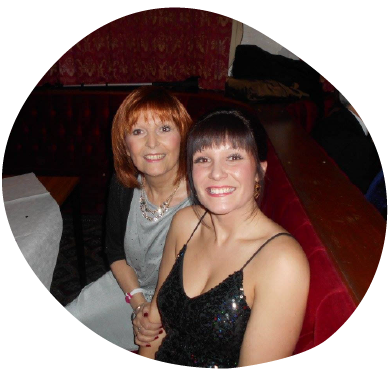 “But thanks to the extraordinary care at St Giles Hospice, mum’s final weeks were as much about living as dying. Shortly after giving birth, Hayley set up a JustGiving page for her daughter, Peyton Angela, titled: “My First Year in Miles”. After wheeling Peyton around the Great Midlands Fun Run in a pram, Hayley then helped create a heartfelt video to support the work of St Giles which can be seen here. Her story also appeared in the local press, on social media and on the news pages of this site.